Recognize your swimmers' efforts ! ......Reward their achievements ! Your school deserves a professional display that makes a statement about your program. 10 sizes available - From huge, high-mount boards to small, plexi-covered hallway displays. Each style designed to give years of quality use in the toughest pool environments. Our numerous stock designs can fill any need or size requirements ! All letters, numbers and punctuations included .. with enough spares to cover all future record updates! You should never need to order more. These displays are made of the highest quality materials and are designed to withstand the humidity, chlorine and other challenges your pool can dish out. Over 20 years in business with more than 900 satisfied customers. - Team-Only board shows events down the center with columns to either side for Name, Year and Time. - 16 lines allow for display of all records including 2 lines for each relay (to list all 4 names) and 2 lines for Diving. - A 17th line is inlcuded for all sub-headings. - Includes 1056 letters, 276 numbers and all punctuations, plus spare ones for updating broken records. - Full frame painted in your choice of color. - White background with choice of Black, Blue, or Red letters. - Largest letters available anywhere for superior visibility and impact. - Durable.. . Motivational.. . Easy to install. .. Easy to use! Full description and details on all features, including letter styles and a link to the Order Form,can be seen at the bottom of this page by clicking here. This also takes you to the order form link. - Name/Year/Time for both Boys/Girls and Team/Pool. - A 17th line is included for all sub-headings. - Includes 1848 letters, 483 numbers and all punctuations ...plus spare ones for updating broken records. Full description and details on all features, including letter styles and a link to the Order Form, can be seen at the bottom of this page by clicking here. 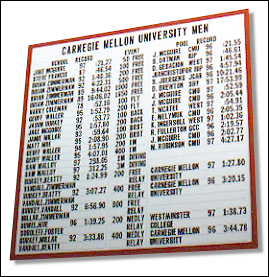 Size: 8' HIGH x 22'-6"
- 26 lines allow for display of all records inlcuding 2 lines for each relay (to list all 4 names) and 2 lines for Diving. - A 27th line is included for all sub-headings. - Includes 1452 letters, 460 numbers and all punctuations ...plus spare ones for updating broken records. 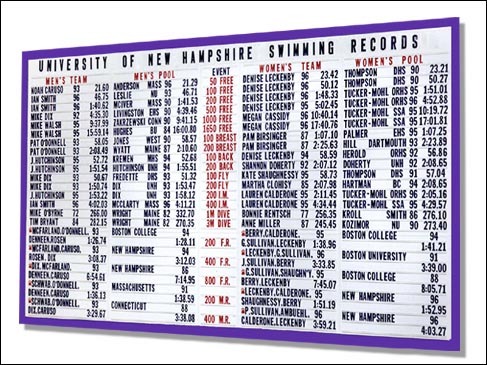 - Team and Pool boards show events down the center with two columns to either side for Team and Pool records for both Men and Women..
- Includes 2376 letters, 782 numbers and punctuations ...plus spare ones for updating broken records. 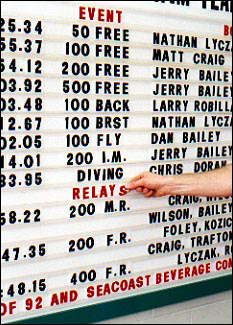 Size: 12' HIGH x 22'-6"
- 17 lines allow for display of all records inlcuding 2 lines for each relay (to list all 4 names) and 2 lines for Diving. - Includes 1120 letters, 300 numbers and all punctuations ...plus spare ones for updating broken records. - White background with choice of . Black, Blue, or Red letters. Size: 50" HIGH x 8'-2"
- Includes 1818 letters, 480 numbers and all punctuations ...plus spare ones for updating broken records. - Includes 1400 letters, 450 numbers and all punctuations ...plus spare ones for updating broken records. - Includes 2380 letters, 750 numbers and all punctuations ...plus spare ones for updating broken records. 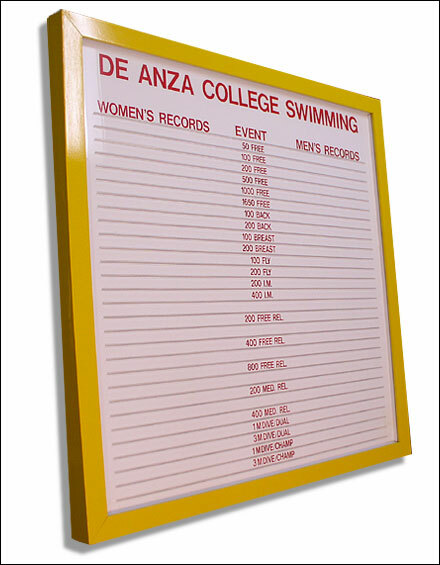 High School and College - Thin Track Style "A"
- A smaller board than our DuraTrack style, this display is meant to be mounted at eye level and viewed from a "walk-up" distance. - A lockable, plexiglass cover allows this board to be placed in high traffic areas such as the pool deck, school hallway and even outdoors (under certain conditions). - ThinTrack is the perfect solution when our larger DuraTrack boards are impractical due to wall space or sight-line restrictions. 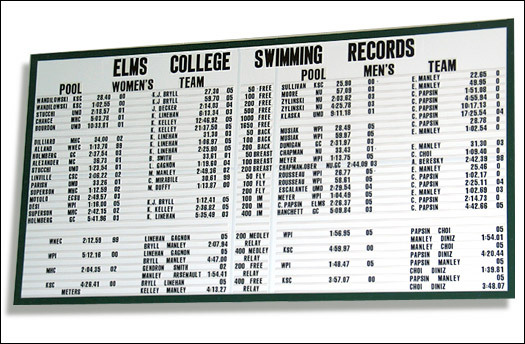 - This board can display all College events including relays. 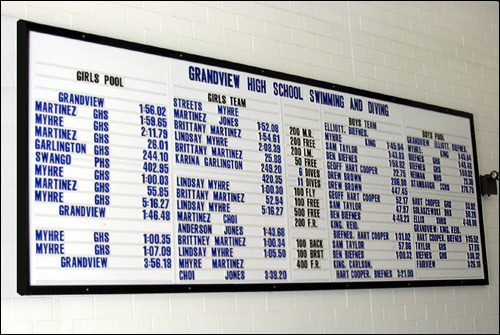 - Display all High School events with room for team photo or logo. - Each board comes with everything needed to produce the records that slide into the tracking. See the section near the bottom of this page titled "Making ThinTrack Record Strips"
- Customers may choose a right or left opening board to fit any area. - All mounting hardware included plus a lockable hasp to prevent opening or tampering with board or records. 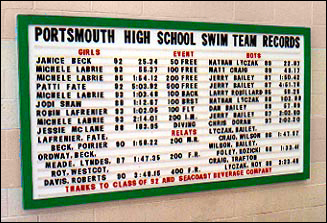 High School and College Record Boards Thin Track Style "B"
- A lockable, plexiglass cover allows this board to be placed in high traffic areas such as the pool deck, school hallway and even outdoors. - This board size allows more options than the 4' by 4' Team-Only board. Click on the button to the left for photos of different options. White, hard-gloss laminated panels are joined by white, aluminum channel to form a sturdy substrate. We affix high impact plastic tracking to the board that hold the letters in place while allowing perfect alignment vertically and horizontally. Largest letters available anywhere! Each one is re-usable. We include all letters and plenty extra with each board ! 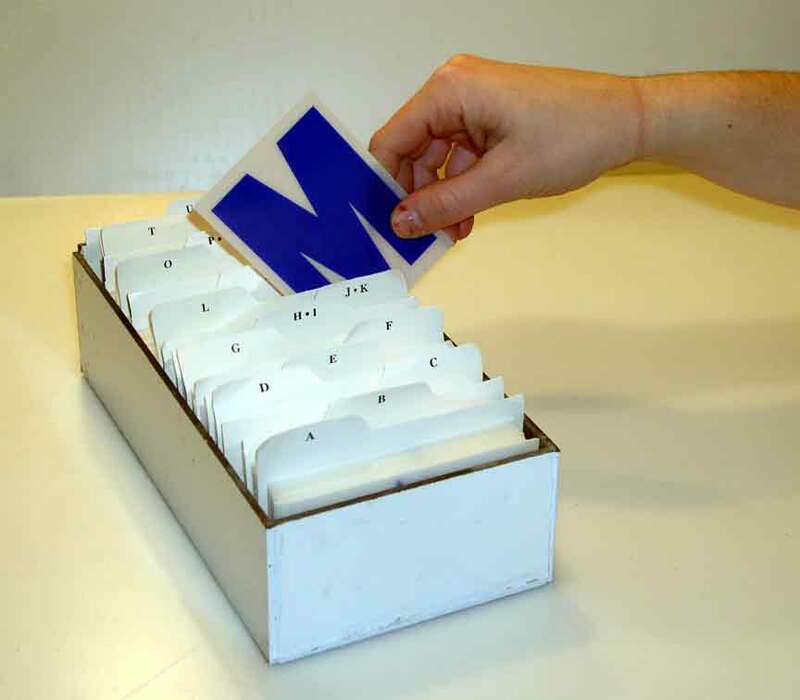 Letters are hard-screened onto white, sheet plastic letter squares for durability and either slide into the tracking from the side or are "flexed and popped" in from the front. Single names and times can be updated in less than one minute without removing a whole row or a section of the board. Each board is framed with a substantial hardwood border painted in your choice of color. The entire board face is raised 2" away from the wall giving it substance and "depth". There is no felt or fabric face to sag, fade, or discolor ("blotch"). Board face (when assembled) is smooth and continuous. 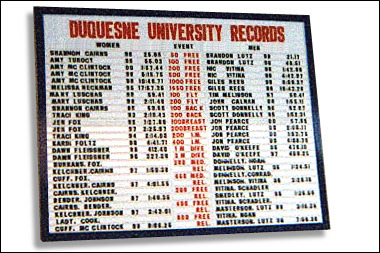 Records are not on individual panel pieces that may give a visually "interrupted" look. Letters can not be knocked off. No pieces or panels to get knocked off, dented or marred if hit by a kickboard or water polo ball. 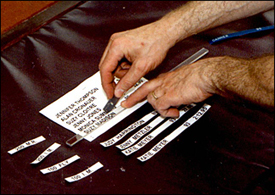 Replace records at the board immediately upon removing the old one. Our tracking lines the letters up perfectly and holds them tight. Replacing records on removable panels can take time to align or may not match column when put back up. Our letters are durable and reusable .... not "peel and stick", not aluminum, and not expensive molded plastic. Nothing on our board is attached by hook-and-loop-to-felt (similar to Velcro®) material that may deteriorate, fade or sag. Never have to order records from the manufacturer. No waiting to get them ..... no continuing costs. No "shadow outlines" or residue when removing old records. Never have to replace panels. Mounting hardware is included at no cost for all board styles. Ours is a substantial, durable, professional looking board! No tiny, flat or thin frame! No light, flimsy pieces or paper/foam panels. In business for over 20 years. Hundreds of satisfied customers. 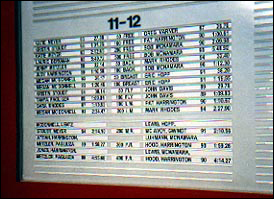 The display format on our Dura-Track boards is for the "Event" column to run down the center with Girls/Women's records on the left and Boys/Mens records to the right. This looks the best but other options are available if you wish. High School boards give you a header line for the 6" major heading, a sub-header line for a description of the column. College Boards give you the header line w / 6" letters, a sub-header line, and 26 event lines. This allows for both 1m and 3m diving plus 2 lines for each of the 5 relays. 8" tall header letters are available at no extra cost but come in Black only. Choose left or right side opening. The plexiglass cover will slide out in that direction. Cut records out quickly and easily using our "cutting template" . Record strips slide perfectly into the tracking that is permanantly applied to board. Mounts easily on any wood or brick wall with the included hardware. Board layout can be customized within the size limits of the board. On the larger board you can add sections for special recognition, state qualifiers, team photos, etc. Anything is possible. Board may be mounted outside although we recommend it be placed under an overhang or awning to prevent full exposure to the elements.